Epic doesn't begin to describe it! "The Land Down Under" is waiting for you! Cross the International Dateline, skipping a day ahead. CAIRNS, QUEENSLAND, AUSTRALIA: Settle in on the country's northeast corner and get ready to explore this remarkable island nation. Enjoy a relaxing group dinner tonight. TJAPUKAI ABORIGINAL CULTURAL CENTER: Learn the history of Australia's original inhabitants through traditional dance, renowned art, and amazing artifacts. You'll even get to play a didgeridoo or learn how to throw a boomerang. HARTLEY'S CROC FARM: Boardwalks take you on a path through rainforests and woodlands, home to birds, reptiles, and wallabies. Search for crocodiles on a lagoon cruise before dining on a delicious Aussie barbecue! GREAT BARRIER REEF: Board a high-speed catamaran to this world heritage site. A glass-bottom boat ride shows you the spectacular reef itself - a bucket-list item to be sure! 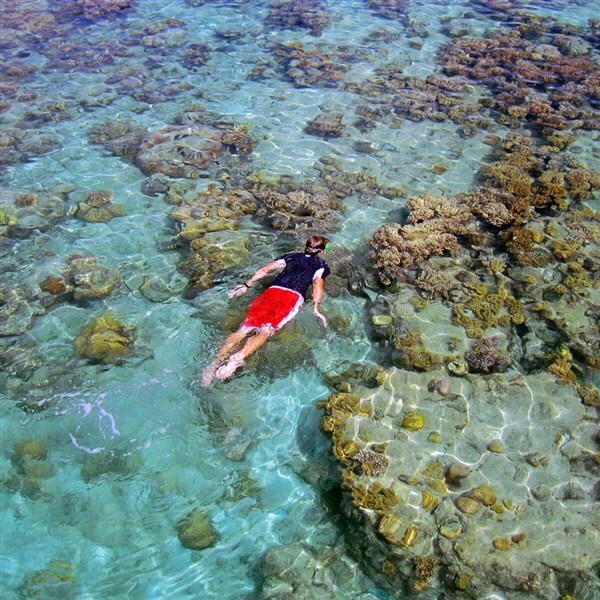 For a more adventurous encounter with the reef, an outer reef tour is available. Call for details. Spend the morning on your own in tropical Cairns. Maybe a beach or a coffee shop will be on your agenda. SYDNEY: Fly to the bustling city of Sydney - perhaps the most well-known of all provincial capitals and your home base for the next two days. SYDNEY CITY TOUR: See where the original English colonists first settled in 1788. Highlights include Kings Cross, the Harbour Bridge, Chinatown, the Rocks, the Botanic Gardens, and more. SYDNEY OPERA HOUSE: Discover one of the world's most fascinating architectural sights as you take a guided tour. Optional Excursion: Dinner and performance at the Sydney Opera House. Call for details. Embrace the exciting city of Sydney during a day of independent exploration. Your Tour Manager will be on hand to offer suggestions. 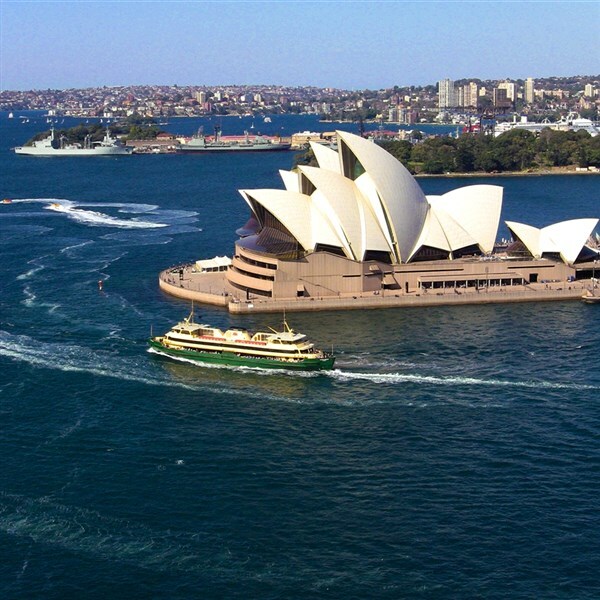 SYDNEY HARBOUR DINNER CRUISE: Tonight, say farewell to Australia by chatting with new friends and taking in the sights during a delightful float around Sydney Harbour. CHRISTCHURCH, NEW ZEALAND: A short flight gets you to the historic "Garden City," devastated by an earthquake in early 2011. See firsthand its rebirth, then dine with a New Zealand family at their home. MT. COOK: Journey through New Zealand's unspoiled wilderness in this part of the Southern Alps, where permanent ice fields and glaciers blanket the ragged peaks. ARROWTOWN: Traverse the spectacular countryside, then arrive in the beautiful Gold Rush settlement. If only these historic streets could talk! Afterward, arrive in Queenstown, your base for the next four nights. 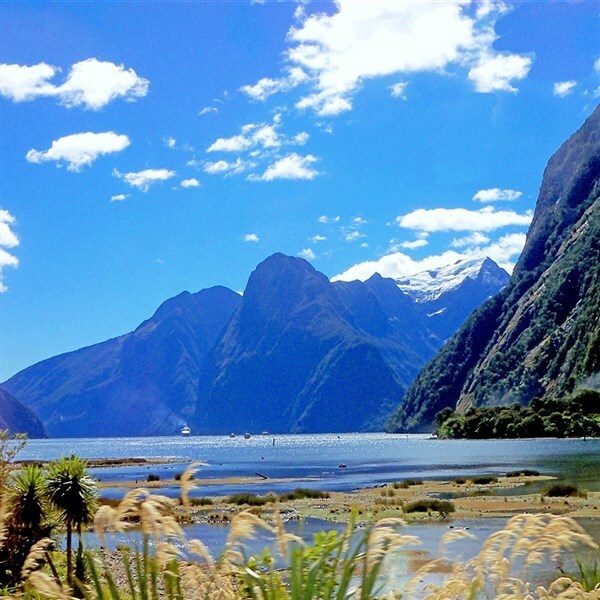 MILFORD SOUND CRUISE: This fjord is one of the most visited sights on the South Island. Plus, experience the rugged grandeur of the Hollyford Valley and travel through ancient beech forest via the Homer Tunnel. 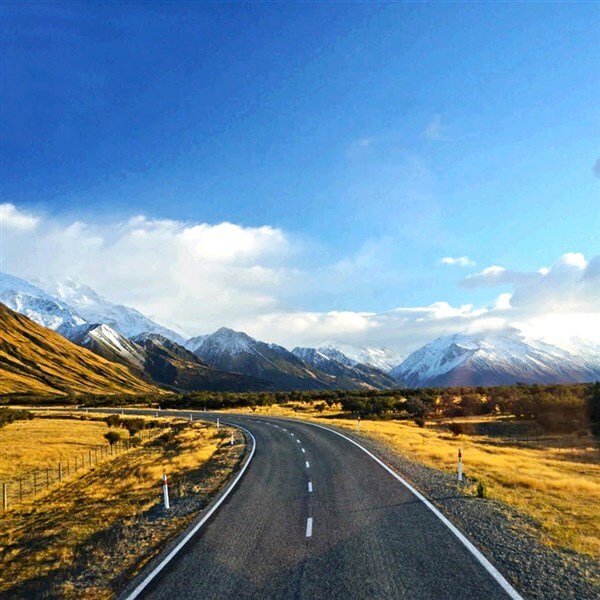 Following your cruise, you may choose to return via a short option flight (weather permitting) for spectacular views of New Zealand's Southern Alps for an additional fee. Call for details. 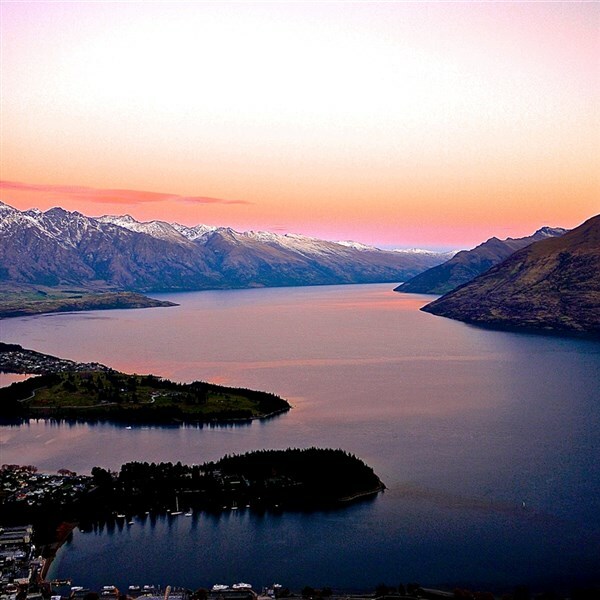 QUEENSTOWN: A free day offers a variety of optional activities to enhance your tour. Ask for suggestions! LAKE WAKATIPU & WORKING SHEEP FARMS: Spectacular scenery awaits as you cruise across this spectacular body of water. Back on land, a behind-the-scenes look at an authentic family-run sheep farm will not disappoint. You have a choice in the afternoon: bird watching or a gondola to the top of Bob's Peak. Your tour to the other side of the globe comes to a close today, leaving you with stories and memories to last a lifetime. DEPOSIT: $500 per person due at time of reservation; final payment is due August 23, 2019. Once final payments have been received, stringent cancellation penalties apply. ACCOMMODATIONS: Overnight Flight (1 night); Pacific Hotel Cairns, Cairns (3 nights); Novatel Sydney Darling Square, Sydney (3 nights); Novotel Christchurch Cathedral Square, Christchurch (1 night); Mackenzie Country Hotel, Twizel (1 night); Millennium Hotel Queenstown, Queenstown (4 nights). TOUR INCLUSIONS: Collette tour director, roundtrip motorcoach/airport/resort transfers, roundtrip air, luggage handling at hotels, admissions/attractions, and 21 meals, including 12 breakfasts, 3 lunches, and 6 dinners. TRAVEL INSURANCE: Optional, but highly recommended; available at booking for $385/per person. PASSPORT REQUIRED: Passport must be valid for six months after departure from Australia/New Zealand is required. ADDITIONAL FEES: Airline luggage fees and fuel surcharges (if applicable) are additional and vary by airline. Visa required for travel to Australia, $25 per person. Outer Great Barrier Reef; $160 per person. Dinner & Performance at the Sydney Opera House; $300 per person. A Sydney Foodie Safari; $200 per person. "A Blaze of Glory" on the Shotover River, Queenstown; $130 per person. Gold Seeker  Metal & Movie Discovery Tour, Queenstown; $150 per person. Post Tour 4-Day Extension to Fiji; call for rates.